UN General Assembly session that approved Universal Declaration of Human Rights in 1984. The Universal Declaration of Human Rights, while not a treaty binding at its inception, represents the first global expression of the rights of mankind and stands as one of the fullest sets of human rights principles to date. 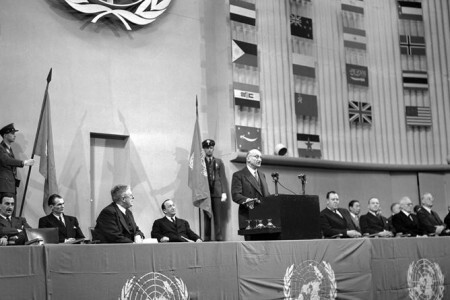 Iran was one of 48 UN member states voting to adopt the declaration in 1948.